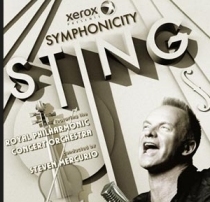 'Symphonicity' finds Sting performing his greatest hits, re-imagined for symphonic arrangement, conducted by Maestro Steven Mercurio (Pavarotti, Bocelli). For this date, Sting will be accompanied by the Tokyo New City Orchestra. The Fan Club presale for Sting's third concert at the Budokan will begin on Thursday, December 2 at 9am (local time), with legacy Fan Club members enjoying a one hour advance window at the start and the presale then opening to all members at 10am (local time).